The last thing you want to experience in this fast-paced lifestyle is get your phone battery drained. With all the applications available in the market, we all can experience low battery. And even if have two phones on hand, each battery life has its own limitations. So it makes perfect sense when I came across this product, ROMOSS SENSE 4. This is the Newest Released Romoss Portable Emergency Universal USB external battery charger Power Bank, It is compatible with almost all smart phones and other device charged via USB port. 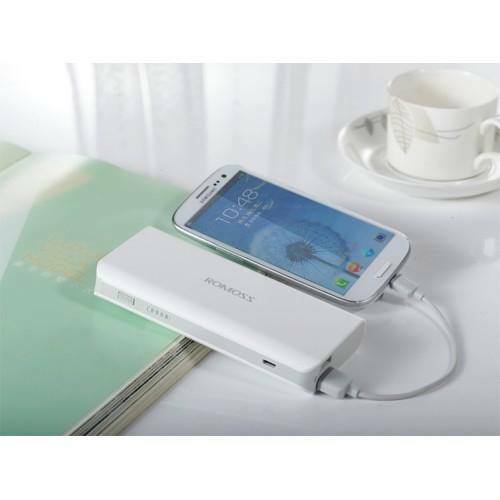 This compact and ultra long-lasting backup battery will let you carry the power source where ever you go. When you travel or take a walk, there’s no need to charge your Mobile Phone or iPad through an electrical outlet, this is THE ultimate POWER SOURCE! And its also very affordable at Php 1,500.00. – Google Nexus One / Nexus4 / Nexus7 / Nexus S ..
– 500~600% of Mobile Phones’ inside battery. – 1X 10400mAh Power Bank. – 1X Micro USB charging/data cable. If you want to own one please call 09178352695 for your orders.